Ben Hoogendoorn, FH Canada President and CEO, reflects on his visits to Burundi. How do you break free from a system that reinforces poverty? In the town of Kayanza in Burundi I observed girls and young women (age 15-25) carrying bricks up a long hill. Each girl balanced 70-80 lbs of weight on their heads as they walked barefoot. Watching the tiny, measured steps of the girls made it plain to me that these girls were used to these heavy of loads. I never saw one brick dropped or a single stumble as they walked. I'm not sure what kind of damage this is doing to their necks and spines but I'm sure it is significant. I tried lifting a load and was just able to pick it up - it was that heavy. I asked one of our Food for the Hungry (FH) staff to find out for me how much these women made each day. I was shocked to learn that they are paid by the brick. If they carried a thousand bricks within a day they would make about 80 cents. That is abuse, pure and simple, but in this country it is normal because without this job, these girls be forced to find more devastating "work" in order to survive. This system, which uses poverty to the advantage of some to get cheap labour, is hard to overcome as it permeates society. Breaking this cycle of severe and chronic poverty is something FH is doing here in Burundi and other countries around the globe. What is FH doing to break the cycle of poverty? In Burundi, FH is working at the community level to assist people in working together and helping one another end the poverty that grips their families. FH encourages them to build integrated systems of farming that incorporates new ideas and techniques. 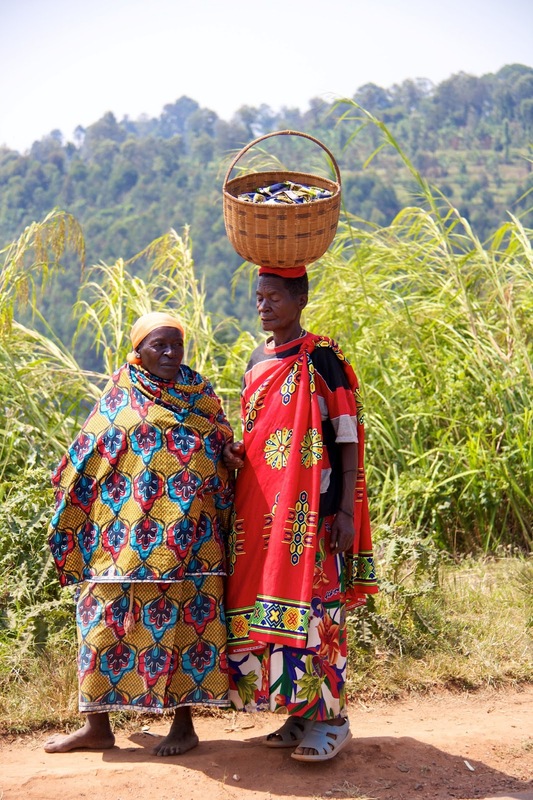 In Burundi this also means protecting the environment and land they are farming. Because the land is very steep, erosion is a huge problem. This not only negatively impacts the hillsides, but during heavy rains the soil and mud from the hills wash down onto the valley below and destroy the crops growing in the fertile valley bottoms as well. 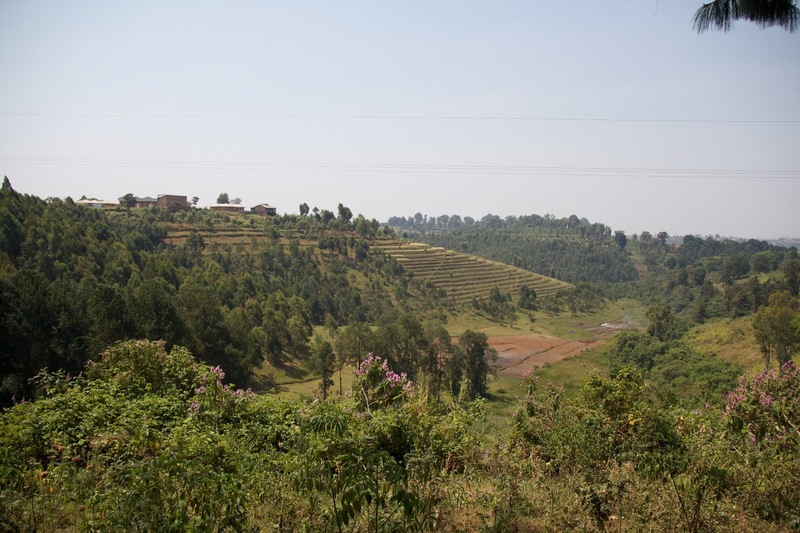 FH has introduced a new type of terracing to Burundi that has been used successfully in Rwanda for many years. This and the introduction of new plant varieties, composting, and the use of animal fertilizer has made a significant difference in the food production. Kitchen gardens and the raising of small animals have also had a positive impact on many families. 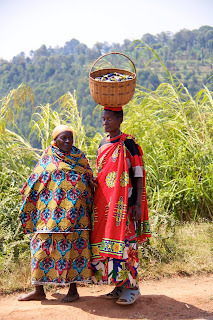 While this will not immediately stop young women from having to carry extremely heavy loads on their heads, it is the beginning of building sustainable systems that will further benefit the entire region. Farmers in adjoining communities are already asking our staff when FH can come to their village. We would love to be able to engage with the neighbouring communities and improve their land by showing them new ways of farming and by helping them help themselves. Empowering them to follow new practices themselves is proven to be a sustainable model. I am so proud of what our field staff has accomplished in such a short period of time.